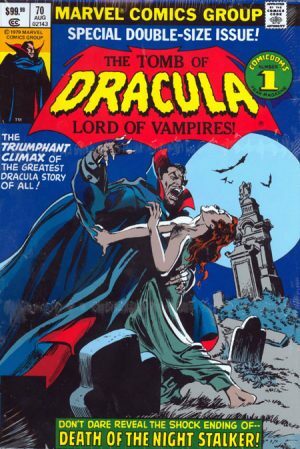 This second oversized hardback completes the original run of Tomb of Dracula, Marvel’s 1970s horror classic. Omnibus 1 began with Dracula brought back to life in the present day, and pursued by descendants of the characters from Bram Stoker’s novel. This opens with the vampire hunters dispersed after an apparent victory. Writer Marv Wolfman is a master of the serial form and ensemble cast, weaving multiple narrative strands through each episode, and trailing future stories many issues ahead. Frank Drake, and Taj Nital are pursuing individual narratives in Brazil and India, which are intercut with a central story of Quincy – home alone, awaiting a visit from Dracula. It’s a tense showdown, pitting Quincy’s gadgets and planning, against the Count’s wits and abilities. Just when it seems to be over, a new element is revealed involving an agonising decision. These are grippingly written stories, updating gothic horror with Marvel-style elements like Quincy’s weaponised wheelchair. Equally, these are powerful characters stories, in this and other ways pre-empting Joss Whedon’s Buffy/Angel vampire hunter franchise. Even Dracula’s random victims have enough backstory for their deaths to be affecting. Wolfman uses a variety of points of view: a police report; Hannibal King’s hard-boiled detective voice-over; witness statements analysed by a psychiatrist; and hack horror writer Harold H. Harold’s unreliable ‘true stories’. Much of this is in the first third. Thereafter Wolfman tightens the focus. A long-running sub-plot of Blade and King hunting a common foe feels brought to a sudden and perfunctory conclusion. 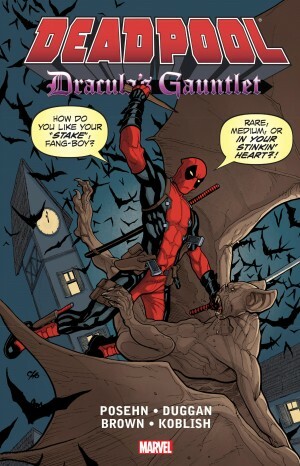 Wolfman is making space for an extended story arc – a fall from grace story with a Satanic twist. Ambitious in it’s day, it still reads well. 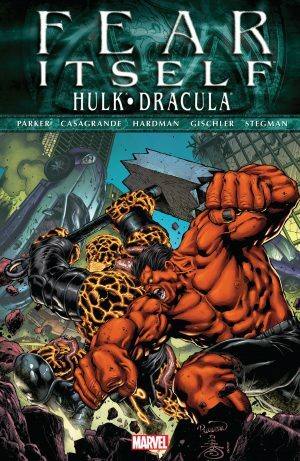 Wolfman had a planned ending for the arc and title, which was compromised by Marvel’s premature cancelation of the series. His notes here explain that he had to literally cut up pencilled pages to conclude the story in the final issue. The artwork still looks excellent. Finisher Tom Palmer turns Gene Colan’s loose expressive pencils into masterpieces of line and shadow, effortlessly capturing Colan’s trademark dynamism, while bringing impressive realism and historicity to Boston and Transylvania. There’s a slight drop in quality towards the end. Having drawn every issue, Colan was keen to move on, while Wolfman wanted him to continue until he could bring the series to a suitable conclusion. Pencilled pages omitted from the final issue, are a welcome inclusion, and show how much Palmer was adding. Palmer is also due credit for the series’ moody colouring, though the half of this volume is others approximating his palette, and the better printing and paper renders it brighter than the originals. The hundred dollar cover price adds up to good value for forty-odd complete comics, in a durable, oversized volume. However the sheer bulk, and glare from the glossy pages make it an awkward read. The cheaper Essential editions are worth considering as the artwork is beautiful in black and white, and this material is spread over volumes 2 and 3. However all editions are out of print and demand has pushed up prices. 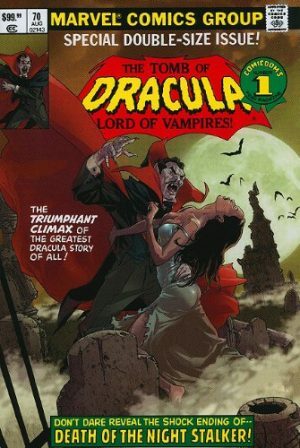 Marvel’s chronological completeness, welcome elsewhere, has burdened Tomb of Dracula reprints with weaker stories from companion titles. The higher star rating here, is because there’s only one – it’s overwritten, full of plotholes, and substandard right down to the lettering and colouring. 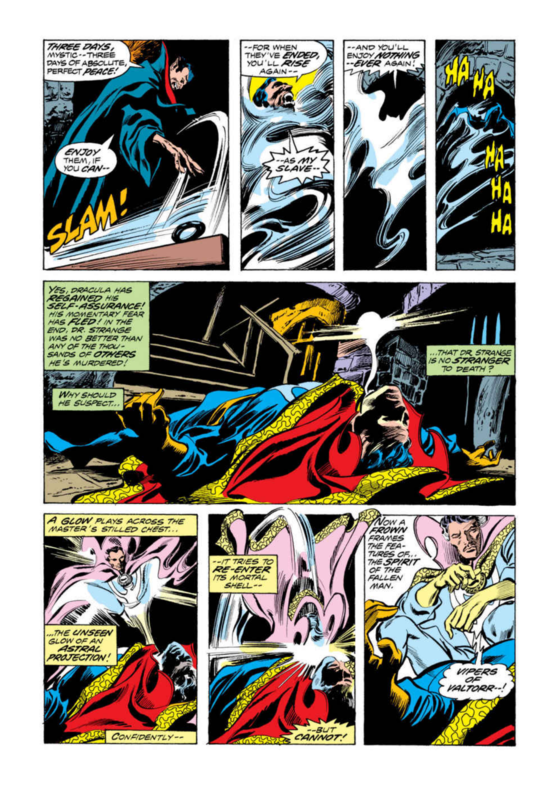 A more welcome inclusion is a crossover with Doctor Strange (pictured), drawn by the same Colan/Palmer team. 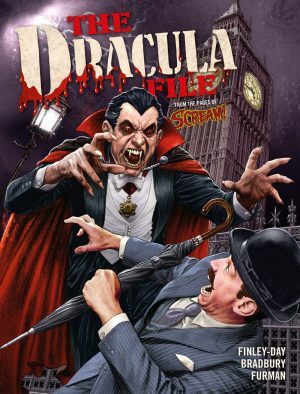 The team produced further Dracula stories, included in Essential volume 3, and the final Omnibus.